After the zooming credits played atop a view of Earth from space, a Russian cosmonaut executing a space walk and completing radio antenna repairs on the orbiting space station was singing: "My Way" - in Russian. Oblivious to the approach of a discarded chunk of a failed, rogue American satellite on a deadly course, he was knocked off into space, where he drifted away while the space station itself began to tumble off-course. Superman flew to the rescue, stabilized the spaceship, and brought the cosmonaut back to the airlock hatch, telling him (in Russian): "You'll be safer singing in here." "Listen carefully, my son. You are entering the atmosphere of the planet known as Earth. I pray you have made a safe journey. The yellow sun of your new home will give you great physical powers. But it cannot console your spirit. Placed aboard this vessel is an energy module - all that remains of a once powerful civilization: Krypton, your mother planet. It is my last gift to you. Once removed, the ship will grow cold and silent and you will be finally alone. The power in the module can be used but once. Use it wisely, my son." As instructed, he removed the capsule's energy module - a green-glowing crystal [hadn't this already been removed and taken North to create the Fortress of Solitude? ], and the ship's glow faded out. With his super-sensitive hearing and X-ray vision, Clark/Superman saw a car approaching on the dirt road - it was realtor Mr. Hornsby (Don Fellows) who had a buyer ready to purchase "sight unseen," but Clark stubbornly refused to sell to a shopping center developer - he insisted that the buyer was a farmer. As the real estate agent left, he advised Clark: "You be careful when you get back to Metropolis, Clark. It's a long, long way from where you were born," to which Clark replied: "Yes sir, I never forget that, sir." Lazy chain gang member Lex Luthor (Gene Hackman), Superman's nemesis from the first two films, toiled at the prison's limestone quarry, claiming that he was a "true genius" to another prisoner. He boasted that he had "plans to recreate life itself." A teenaged, punk kid drove up in a Cadillac convertible with his Sensearound 100 stereo blasting, impressing two marshals who were supervising the convicts. When they sat in the trick vehicle (with Lenny's name scrawled on the door), Lenny (John Cryer), Luthor's nephew wearing leopard-print sharkskin pants, trapped them inside with a remote control unit -- the windows and car top closed up tight, the seats dropped back, and the car with its racing engine was launched off the edge of the quarry and crashed below - the guards emerged unhurt. Lenny made off with his grateful Uncle, who complimented him: "I've always considered you the Dutch Elm disease of my family tree. But this time, nephew, you did fine." Now, Luthor's single-minded objective was to: "Destroy Superman!" In Metropolis at 9:15 am, one of the Metro City Transit subways carrying Daily Planet reporter Lois Lane (Margot Kidder) suddenly went out of control when the train's engineer suffered a heart attack. Her cries of "Help!" alerted Clark (who had just missed the same subway) - he raced for a full-length phone booth, changed there [the first time in four films] and stepped out as Superman, before accelerating ahead of the onrushing train, shorting out the third electrical track, and bringing the cars to a safe halt. And then he announced: "Our subway system is still the safest and most reliable means of public transportation." He was late to the empty offices of the Daily Planet, where he learned in a conference room that sleazy tabloid tycoon David Warfield (Sam Wanamaker) had purchased the newspaper and taken over operations, vowing to make it profitable and exploitative. The Rupert Murdoch-like Warfield introduced his corporate-minded daughter Lacy (Mariel Hemingway), who chimed in: "The name of the game is making money." She presented "mock copies" of the paper's new layout -- the giant headlines read: "SUMMIT KAPUT! 'IS WORLD AT BRINK?'" - with a cheesecake picture of a bikini model below with hands in a prayer pose. Although the headline was a bit irresponsible, Warfield claimed it would sell a lot of newspapers. Lois announced she must hastily leave to catch a plane to report on the Ministers' Conference in Paris, but Lacy cancelled her trip and all further trips. Resentful and upset by the hostile takeover and change in leadership, Clark tactfully spoke to Lacy about how everyone would cooperate, but he stressed: "A reporter's first allegiance has to be to the truth." She was surprised by his attitude, and commented to Lois: "Is he for real?" Lois defended her friend Clark, and tried to steer Lacy away from her guileless friend: "100 percent, and I like him that way...Clark is the oldest living Boy Scout, okay? He's trustworthy, he's helpful, he's loyal, he's obedient...I just don't think he'd be attracted to somebody like you." However, Lacy thought he was "cute," and flattered herself: "All men like me. I'm very, very rich." In the news offices, the group listened to the President's address on television, with Clark fearing it wouldn't be "good news," although Warfield differed: "We could double our circulation with a good international crisis." The President spoke about a failed summit between the US and the Soviet Union, and the possibility of the escalation of the nuclear arms race - or even war. In one midwestern town's classroom at JFK High School, a teacher (Jayne Brook) asked for positive contributions about what to do and suggested writing one's Congressmen, while a daydreaming 5th grade (?) boy named Jeremy (Damian McLawhorn), sketching a picture of his favorite superhero, proposed instead to write to Superman. At the Metropolis Museum's newest exhibit, a memorial to Superman with a single strand of his donated hair (holding up a 1,000 lb. steel wrecking ball), Lex Luthor was planning to acquire the hair to obtain its DNA - "a sample of Superman's genetic material." He would use it to create artificial life: "a being who's more powerful than him, with total allegiance to me." He broke into the display case and used wire cutters to cut the clips holding the hair in place. In Lacy's Daily Planet office where she perched on her desk in a provocative fashion, she summoned Clark and asked him to write a new series of columns called: "Metropolis After Hours," and then seductively flattered him: "You're young, you're single, you're successful." They would work together - and she suggested - because she knew "all the right places" - that they would start that evening with a date at the grand opening of the Metro Club. Lois brought Clark the handwritten letter from the concerned schoolboy, and he read it outloud: "Dear Superman, forgive me for writing to you, but my teacher was speaking about the President's speech on the arms race. We're all very unhappy about it. And I said we should get Superman to rid the world of nuclear arms because only he could do it. I don't care if everybody thinks I'm a space cadet. Once you've destroyed all the nuclear missiles, they'll see I was right. Superman can make sure we don't blow ourselves up. Quick and easy. Thanks a lot. I know you'll come through. Your friend, Jeremy." Clark was troubled by the letter, but Lacy saw an angle to sell more newspapers - they would make the kid a "celebrity" - and she claimed everyone would want to know Superman's reply. She arranged a press conference to which Jeremy was invited, and he humbly complained that he wished Superman had said 'yes.' The next day's headlines boldly announced: "SUPERMAN SAYS 'DROP DEAD' TO KID!" and Perry White was fed up with the sensationalism and stormed out of the office. Confounded and conflicted about whether he should intervene in world affairs on his adoptive planet, Clark walked off alone, removed his glasses, and was next seen flying to his Fortress of Solitude as Superman. He listened to the voice of his mother again, and asked advice of the ancestral Elders about whether he should prevent nuclear war: "I know I'm forbidden to interfere. And yet the Earth is threatened by the same fate as Krypton's." They cautioned him against acting, and even recommended that he leave the "primitive" Earth and flee to new worlds where war had already been long forgotten. That evening in his apartment as he listened to TV reports of increasing tension and escalation by the Russian premier, a preoccupied Clark had completely forgotten about attending a formal Press Awards dinner with Lois. When she arrived at his door, he still declined to accompany her, claiming: "I've got a lot of thinking to do." He asked Lois to join him on his open-air balcony for fresh air, where she assured him: "Things aren't so bad," as he stepped up on a chair and then onto the ledge - and they both jumped off! He transformed into Superman, with Clark's glasses remaining on his face, and caught her in his arms. As in the original film's "Can You Read My Mind?" sequence, but in an entirely superfluous scene, he flew with her over the city and then cross-country to the Golden Gate Bridge and the city of San Francisco, and then back to his apartment in Metropolis. During their flight, he let her go for a few moments and she flew solo. He was buoyed by being with her: "You make me laugh. You're the only one I can talk to, Lois." She assured and encouraged him that he would do "the right thing" - and then told him: "I remember everything" - she knew about his identity, even his original name Kal-El. As he looked down, he said to himself: "Never set one of them above the rest. Love all humanity instead. It's not fair" - and then delivered a quick kiss. Her memory was instantly erased (as in Superman II (1980)), and as she was dazed with her eyes closed, he quickly changed back to Clark Kent and rapidly dressed in a white tuxedo for the dinner. She complained that she felt weird, like jet-lag as they left, telling him - now that he was thinking more clearly: "Too much thinking wears down your batteries. 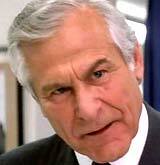 Clark, you gotta go with your gut." Outside the United Nations building, Superman met Jeremy and they walked in together (with a giant crowd following), where the superhero was greeted in the General Assembly hall with applause before delivering a speech to the delegates - after receiving permission from the Madam Secretary General. He pledged his intentions to intervene in the nuclear arms race: "Madam Secretary, honorable delegates, ladies and gentlemen. For many years now, I've lived among you as a visitor. I've seen the beauty of your many cultures. I've felt great joy in your magnificent accomplishments. I've also seen the folly of your wars. As of today, I'm not a visitor any more, because the Earth is my home, too. We can't live in fear, and I can't stand idly by and watch us stumble into the madness of possible nuclear destruction. And so, I've come to a decision. I'm going to do what our governments have been unwilling or unable to do. Effective immediately, I'm going to rid our planet of all nuclear weapons." In the next scene set in the North Atlantic where a US submarine was commencing a missile test launch, Superman intercepted a missile as it soared into space. And in Siberia where the Russian Army was conducting its own missile launch, he grabbed that missile too, and deposited both missiles in a gigantic space net (filled with the entire world's stockpile of missles) which he spun around and released - the net was hurled into the sun to harmlessly explode. Knowing of Superman's efforts to eliminate nuclear weapons and end the arms race, Lex Luthor met secretly with three unscrupulous top arms brokers, who dealt on the black market: American Harry Howler (William Hootkins) - a nuclear strategist and warmonger, Frenchman Jean Pierre Dubois (Jim Broadbent) - a nuclear warhead dealer, and eccentric "Mad Russian" General Romoff (Stanley Lebor). He described how he had discovered a way to destroy Superman - he displayed a "genetic stew" material (cloned from Superman's hair) that if attached to a nuclear missile and activated by the sun's energy - would give Superman "the biggest surprise of his life." The super-hero would be introduced to his "first nightmare" -- known as "Nuclear Man" - it would make him mortal and sick. Luthor promised that the arms dealers would sell more missiles as a result, and Luthor's commission would increase. In the laboratory of Luthor's Lair, Lenny and Luthor prepared a protoplasmic mass, grown from Superman's cells, to recreate life itself. At a US Air Force base, a missile was launched (while Luthor was posing as a general in the launch site's bunker, who prematurely fired the rocket), with a box of the genetic material attached to its side. As before, Superman intercepted the missile in space and hurled it into the sun, but this time, the explosion's fireball erupted from the sun's surface and discharged a newly-energized, solar-powered super-human in a black and gold costume with a cape -- known as "Nuclear Man" (Mark Pillow, in his sole performance ever in a film), who flew to Earth's Metropolis. The massive, glowing "Nuclear Man" was greeted in Luthor's towering penthouse, where he was regarded by his "father" Luthor as "beautiful" and "perfect." The creature lit Luthor's cigar with his fingers: "The power of the sun has given him internally-generated heat." But then, in Luthor's voice, "Nuclear Man" rebelliously claimed that Luthor was "nothing" - "I am the father now." Luthor and Lenny wished to assert their supremacy over their creation: "Just remember, I made you. Yeah, you're just an experiment, freako." With a beam from "Nuclear Man's" finger, Lenny was levitated and rapidly spun around. When Luthor stated: "I made you. I can destroy you," the "Nuclear Man" remembered his primary mission: "Destroy Superman now." The creature's only vulnerability was darkness - when he moved into the shadows away from the sunlight, his powers diminished and deactivated. Meanwhile, Lacy had convinced Clark to work out at a fitness club, although he was clumsy, uncoordinated and inept in both the exercise and weight areas. There was a short ending sequence where Clark gave jerk trainer Paul his come-uppance by tossing him a heavy barbell. Afterwards, Lacy invited Clark to her hotel suite for high tea, tantalizing him by telling him: "It's very chic...Come early. The view is so romantic from my balcony." Lois had also been invited to make a foursome, since she was to conduct an interview with Superman about his peace mission. [The farcical, contrived scene was a silly excuse for Superman to use his superpowers to constantly switch back and forth between his alter ego and his superhero self during the double-date, to impress both ladies.] She complained about the list of horrible questions Warfield had proposed asking the superhero. Lois prompted Clark to notice and compliment Lacy on her low-cut dress, before he went to pay the taxi-driver. When Superman arrived on the outer balcony, Lois saw her opportunity to impress the superhero, although after he was introduced to Lacy, Superman noticed her "attractive outfit." Lacy went to help Clark with the taxi, while Superman used his Super-vision to heat up scallops and duck cooking in the oven to distract Lois during their interview, so he could leave and reappear as Clark down in the hotel lobby. There, Lacy met up with Clark and proposed to get away from the boring interview: "Let's go do something wild," but they decided to return upstairs when Clark suggested it wouldn't be polite to leave (she thought Clark was both "square and so delicious"). However, Clark was accidentally whisked away on a bellhop's luggage cart (as Lacy took the elevator up), and he transformed himself into Superman and flew back upstairs to continue the interview. Lacy came back into the apartment, worried that Clark hadn't returned. When the two ladies turned their back to answer the doorbell, Superman ducked out and appeared outside the door as Clark. Clark ran into a tray of dishes in the suite and spilled wine on his trousers, and as he was in the kitchen cleaning up, he heard a voice in a high-pitched frequency, singing "Hello Dolly" - it was Luthor with a private warning for Superman, both heard and seen out the window on a giant Times Square billboard video sign. Bombs were to blow approximately 20 stories from the top of a nearby skyscraper building. Sneaking out of the kitchen as Clark, Superman reappeared on the balcony to tell Lois that an emergency had come up and that he had to excuse himself. The caped superhero flew to the observation deck and interior of Luthor's Lair where tricky Luthor told him there was no bomb. He had summoned him to introduce Superman to "the new kid on the block" - "Nuclear Man" - landing on the terrace. The virile, blond-haired creature with a dark cape had an "N" emblazoned on his chest, glowing eyes, and long radioactive, glowing fingernails, and as Superman noted, was created by breaking "the laws of nature." "Nuclear Man" roared: "Destroy Superman! ", although Luthor first had to explain his devious plan - he was risking nuclear war to increase his own financial gain: "With this guy - and you gone, I'm gonna make a fortune rearming the world...Nobody wants war. I just want to keep the threat alive." "Nuclear Man's" footsteps melted imprints into the concrete as he walked. At the Daily Planet, Lacy was promoted to Publisher by her father, and given Perry White's office - on her desk was the cape. Lois protested the newspaper's latest format (tabloid-sized), with its most recent headline -- "IS SUPERMAN DEAD?" As she stormed out, she seized Superman's cape from the desk: "And you certainly have no right to this." David Warfield told his daughter to let Lois leave, and also recommended firing the mostly-absent Clark. Also worried by this turn of events (she told her father: "Stuff it"), Lacy caught up with Lois, apologized, and revealed that she cared for Clark ("Have you heard from Clark?"). Lois found Clark in his darkened apartment, where he claimed he was suffering from flu symptoms (actually radiation sickness). She said she sensed something was wrong with Superman: "Somehow, something pulled me here. I always know when Superman's in trouble....I think he just needs help." Lois confided in Clark about what she would tell Superman if he really was in trouble - she made a moving proclamation of love, unaware that Clark and Superman were the same: "I'd tell him that I will always cherish the time we spent together. And that I never expected anything in return. And no matter how few minutes I saw him for, it always made me happy. And I would tell him that I love him, and that I'll always love him. And that whatever happens to the world, I know that he's doing his best to make sure that it will be alright for the rest of us." As she left, she gave Clark a wrapped package containing Superman's cape. With Superman out of the way for the time being, Luthor had acquired a mountain of stacked cash. To his cohorts' surprise, he fired his three black market arms dealers, and assumed control of the entire operation. He scared them off with a display of "Nuclear Man's" heat-vision, and then turned to his creature: "With my brains and...your brawn, the possibilities are absolutely staggering. I could be president, emperor, king," and claimed he was fearful of nothing. On his outdoor terrace, haggard, aging and white-haired Clark retrieved the green-glowing Kryptonian energy crystal-module and grasped it to himself, for healing, as he listened to his mother's voice again. In Luthor's Lair, "Nuclear Man" was awakened by the rays of the morning sun. He saw an attractive picture of the new Daily Planet publisher, Lacy Warfield, on the front page of the tabloid, and instantly developed a passionate and desirous crush on her. He flew to the downtown Daily Planet building where he was confronted by the newly-revived and healed Superman. He threatened and caused mayhem and destruction ("I will hurt people") unless the whereabouts of Lacy were revealed to him. Superman remained defiant before him, but was forced to acquiese: "You win. I'll take you to her." On an upper floor of the building, Superman lured and pushed "Nuclear Man" into an elevator where he was trapped and de-energized (without a light source), and then carried and dropped into a crater on the Moon. Unfortunately, when a few rays of the rising sun slipped through a crack in the elevator door, "Nuclear Man" re-energized, broke free and again attacked Superman on the lunar surface at the site of the Apollo moon landing (marked by an American flag) - the Sea of Tranquility. At the conclusion of their fight, "Nuclear Man" attained the advantage and defeated Superman by literally pounding him into the dirt of the moon's surface and burying him completely, and then flew back to Metropolis. At the Daily Planet, as Lucy argued with her father about the editorial philosophy of the paper, "Nuclear Man" broke in through the ceiling and abducted her - and flew her into space (without oxygen? ), as Superman freed himself by digging out of the hole, and then righted the American flag. He pushed the Moon out of its orbit, placing it directly in front of the Sun, causing an artificial eclipse to create a giant shadow in order to render "Nuclear Man" powerless without the Sun's rays. He then rescued Lacy, returned her to Earth, and then guided the nullified "Nuclear Man" into the core of a nuclear cooling tower on Earth - it caused the nuclear power station energy dials to swing to full charge. American cities were ablaze with pinpricks of blazing light. Perry White announced to Warfield that he had convinced the city's bankers to secure a loan, with which he had now attained a controlling (or majority) share of the newspaper - to protect it from "predators." Warfield's sign was removed from in front of the Daily Planet sign. With Warfield only a minority shareholder, Perry had taken over the operation, with new headlines for the reestablished paper: "WE'RE BACK!" Clark (now recovered after claiming a visit from a "pretty good nurse" who gave him "loving attention"), Lois, and Jimmy Olsen attended a news conference held at the United Nations Plaza where Superman was scheduled to speak. When Clark absented himself to retrieve his tape recorder, Superman appeared and declared there was only a partial victory in his struggle against war, and quest for peace. He also admitted that he was wrong to interfere, and that the world itself would have to make the decision to pursue peace: "Once more, we survived the threat of war and found a fragile peace. I thought I could give you all the gift of the freedom from war, but I was wrong. It's not mine to give. We're still a young planet. There are galaxies out there. Other civilizations for us to meet, to learn from. What a brilliant future we could have. And there will be peace when the people of the world want it so badly that their governments will have no choice but to give it to them. I just wish you could all see the Earth the way that I see it, because when you really look at it, it's just one world." Luthor and Lenny fled on a highway in Lenny's roadster. Luthor asserted that he would have to lay low for a few years, but would come up with a "new plan." Suddenly, their car was picked up by Superman - Lenny was deposited at Metropolis' church-sponsored Boys Town Remedial Home, while Luthor was returned to the rock quarry work gang. Superman reminded the villain about Earth's fate: "It's as it always was, on the brink, with good fighting evil. See you in 20." 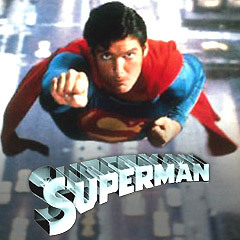 The final scene, as in all of the other three preceding films, was of Superman vigilantly keeping watch over planet Earth from space. With a production budget of $17 million (cut from an original $36 million), and box-office gross receipts of $15 million (domestic). The Salkinds produced the first three Superman films, and then sold the rights to Cannon/Golan Globus Productions who released the fourth film - the least popular film in the series and a major flop. After a disastrous preview screening and its theatrical release, the original film's length (134 minutes) was reduced to 90 minutes, leaving many plot points hanging, and others only unoriginal rehashes of former films. Its stripped budget resulted in cheap-looking special effects. Nominated for two Razzie Awards: Worst Supporting Actress (Mariel Hemingway), and Worst Visual Effects. 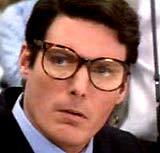 This film featured Christopher Reeve in his fourth consecutive role. He also provided input for the co-authored story - an unabashed message of nuclear power and disarmament, and anti-corporate takeovers. 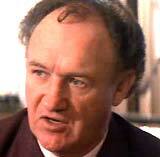 This was the third film with Hackman's villain Lex Luthor. 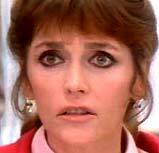 And it was the second film with a super-villain (the other was Superman II (1980)).